Ebelskiver, or æbelskiver as we say in Danish, is a very popular eating around Christmas. In our family it is tradition to eat ebelskiver in the afternoon on the 4 Sundays before Christmas (advent). Usually my dad bake them in the morning so they are all fresh, mount and crisp at the same time. However, this year is quite different… My dad is still baking ebelskiver every week in December, but I am not there to eat them any more 😦 As some you know, we moved from Denmark to Atlanta earlier this year to fulfill a dream of owning our own business and create a heritage for the next generation of Demant(s). We are still setting up the business and due to our visa status we cannot go home to spent Christmas with our family, but will have to wait until we are ready to apply for the visa that will make us permanent residence. Hopefully we will be ready very soon! Well, to get back to the ebelskive part, I have bought my own pan now that I am too far away from my parents house. I bought the electric model from William Sonoma as my dad recommended and I am very satisfied with it. It heats equally in all 9 holes and you can adjust the temperature pretty easily. The ebelskive is a very old tradition in Denmark. The original ebelskive was a slice of apple turned in a pancake batter and fried on a pan. This version is dated back to the stone age. Later on during the renaissance the ebelskive became round, but still contained a piece of apple in the middle. This didn’t changes until the middle ages where the apple piece was removed and the ebelskive as we know it today was born. 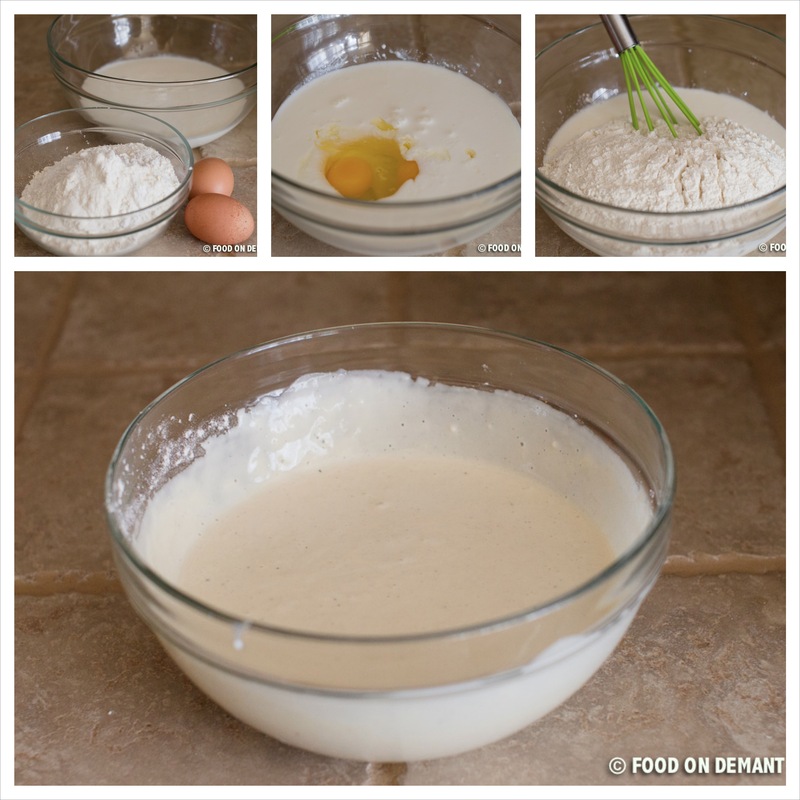 Mix buttermilk and eggs in a large mixing bowl and the remaining ingredients in another bowl. Shift the dry ingredients into the wet and whisk well to combine. Turn the ebelskive pan on full heat (medium/high if you use the old fashioned cast iron model) and place a small peace of butter in each hole. Add a 1/4 cup of the ebelskive batter to each hole and let bake until the batter is set in the bottom and the sides are firm and brown. 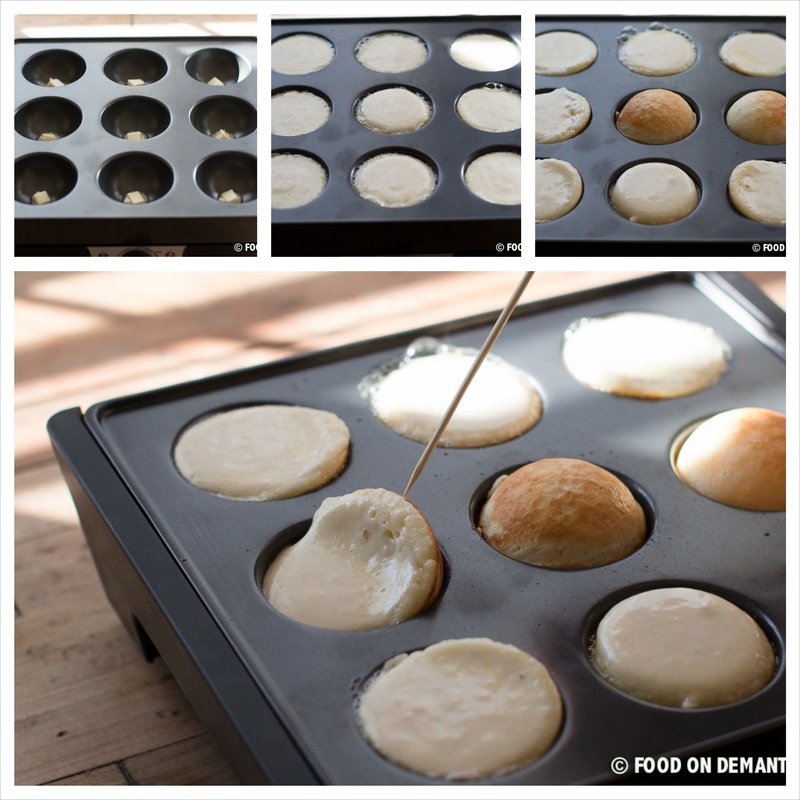 Use a fork or a stick to turn the ebelskiver. Turn each ebelskive 90 degrees and let sit for 45-60 seconds before turning them all the way around. This allows for the batter to set before turning them all around. This method will leave a small opening and a little hole in the middle of each ebelskive. I use it as a spoon to pick up the sugar and jam. If you would rather like your ebelskiver to be perfect round, you can add a little bit of extra batter when you turn the ebelskive at 90 degrees.